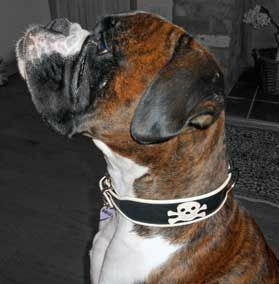 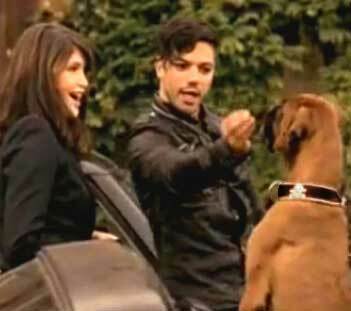 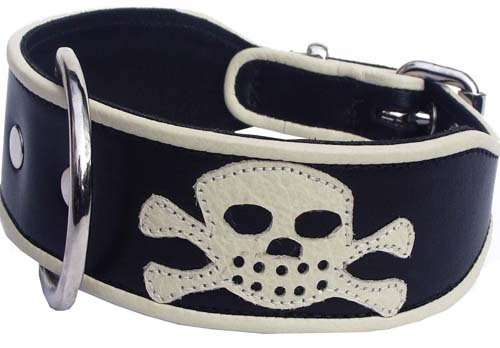 Pirate Dog Collar as seen in "Tamara Drewe" - Holly & Lil Collars Handmade in Britain, Leather dog collars, leads & Dog harnesses. 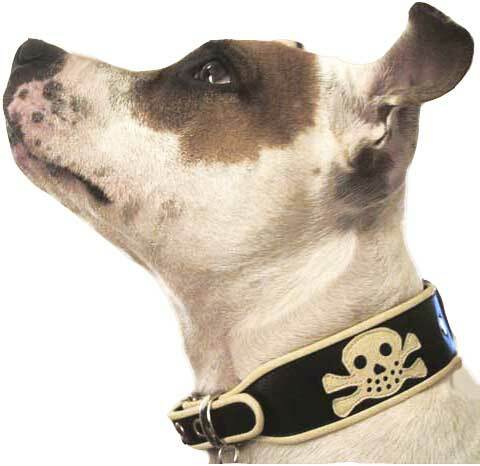 Home / Everyday Collars&Leads / Pirates, Bows, Flowers & The Royal calf leather dog collars / Pirate Dog Collar as seen in "Tamara Drewe"
The design is only available in one of our signature ‘Wide’ collars. 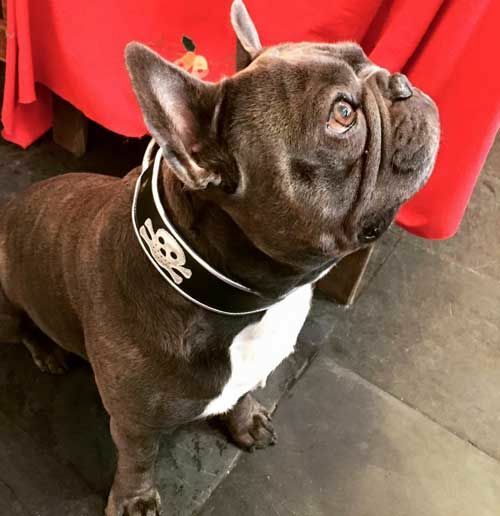 These are slim under the chin for your dogs comfort and broaden out onto the back of the neck, giving a convenient D-ring lead connector at the back of the neck. 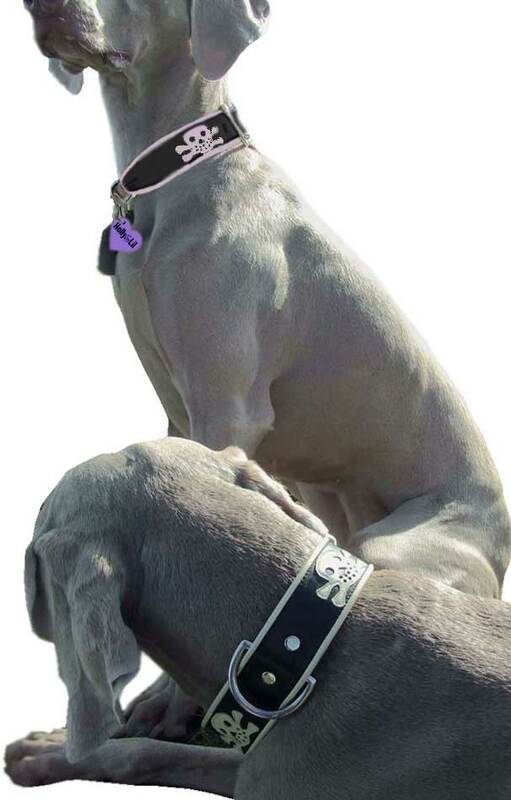 But now with our new hanging tab design size 1 and 2 dogs can wear it as long as they have 'the neck' for 38mm (1.5").